For dental insurance companies, coverage renews at the start of a new year. Therefore, if you’re more cost-sensitive, this is the best time to act. In doing so, you’ll be able to take full advantage of your benefits and possibly decrease your out-of-pocket investment. The start of the year is also an excellent time to receive orthodontic care because it provides a practical and tangible way to address your appearance. While some new year resolutions are easier to break, you can rest assured that once you commit to improving your smile with orthodontic care, you’ll be able to accomplish at least one of your goals. Having straightened teeth contributes to improved jaw health by aiding in its alignment. Properly aligned teeth are also less susceptible to premature enamel (the protective outer surface) wear. When you receive orthodontic care, you can also prevent bruxism (teeth grinding), which can wear down your enamel prematurely and leave your teeth vulnerable to damage. 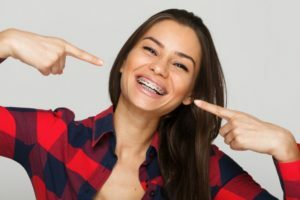 If weight loss is one of your goals for the new year, then receiving orthodontic treatment could help in this area as well. That’s because properly aligned teeth are better at chewing food, which translates into better digestion and the extraction of the vital nutrients your body needs to remove stubborn fat cells. By more efficiently metabolizing your food, you’ll also feel more satiated, which means you’ll be less likely to overeat. All of these benefits can be made possible with orthodontic care. So if you’re looking to enjoy the functional and aesthetic perks of having a straight set of teeth, then reach out to your local orthodontist to schedule a consultation today! After earning his dental degree from the West Virginia University School of Dentistry, Dr. Timothy G. Wigal went on to complete a three-year residency program where he received a certificate of specialty in orthodontics. Throughout his career, he has remained eager to learn, which is why he takes even more hours than are required for continuing education annually. Dr. Wigal improves smiles with orthodontic care at Wigal Orthodontics, and he can be reached for more information through his website.